How well do you really know the snow removal company that plows your Northeast Ohio property? Are they really prepared for this winter—and will your property get the attention it deserves during and after a snow event? You’re about to sign a contract—it’s that time of year—but have you asked the snow removal company about certification, sustainable practices and whether it can guarantee salt supply for your property? How often will the contractor plow your property, and what equipment will they use? Ensuring the safety of your Northeast Ohio commercial property during winter is a serious responsibility, and it requires a snow and ice professional that is dedicated, certified, experienced and prepared with the resources to manage any size storm. We cannot emphasize enough the importance of preparation. How Prepared Is Your Commercial Snow Removal Contractor? At Schill, we’re thinking about snow year-round, revisiting our strategy and meeting with vendors, securing resources like ice-melting products and constantly asking: What can we do better? Snow only falls during a six-month window of time in Northeast Ohio, but our team is planning for snow year-round—while other snow removal companies are hibernating. Ensuring that we have a surplus of salt supply and ice-melt products so we can give our clients a guarantee that Schill will have materials to de-ice their commercial properties. Ramping up our equipment fleet to manage new snow accounts and accommodate our clients’ expanding businesses. Revisiting our logistics to ensure efficient, effective routes so clients’ properties are serviced immediately during winter events, and on a continuing basis to ensure safety. Refining our Zero Tolerance programs as we continue to emphasize safety as the No. 1 priority at Schill. Reviewing every process so that we can continue to be one of the top 5 Accredited Snow Contractors Association (ASCA) snow removal companies in the country, and a Top 100 Snow Magazine Contractor. We encourage you to check out our Ultimate Guide to Hiring A Snow And Ice Management Contractor. And, also ask the following six questions before you hire any snow removal company. 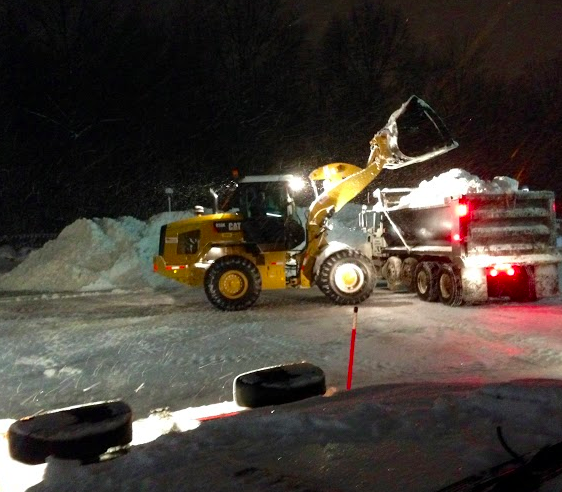 Is Your Commercial Snow Removal Company Certified, Insured And Bonded? You should never invite a contractor to perform work on your commercial property unless that company is insured and bonded. Otherwise, you are taking on the liability for this company—and that’s risky business. Ask for proof of insurance. Also find out if the snow and ice management company is certified by a reputable industry association, such as the ASCA. This certification assures that the contractor has been vetted by a third party, meets quality standards, and follows business best practices. 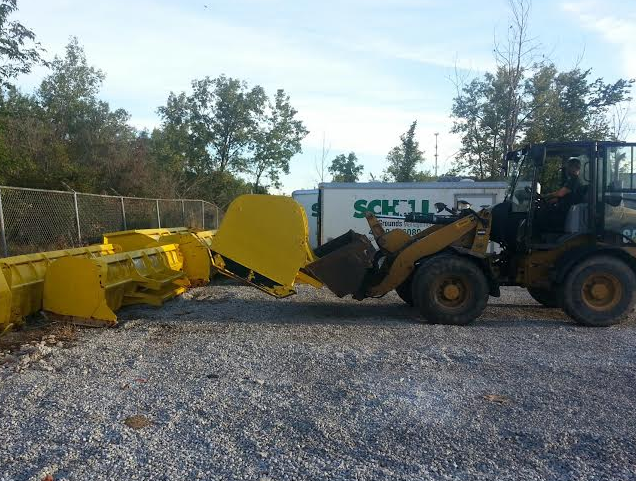 What Type Of Equipment Does Your Snow Removal Company Use To Service Commercial Properties? A well-equipped snow removal contractor will have a full fleet of heavy-duty trucks and equipment designed to clear your Northeast Ohio property this winter. That can include trucks equipped with commercial-grade snow plows, and skid-steer loaders that push snow off of walkways. Ask about sidewalk crews: Does the company provide shoveling? This is important in retail spaces and for HOAs that are sensitive to the noise that blowers and other snow removal equipment causes. If equipment breaks down, what is the contractor’s backup plan? An experienced snow removal company is prepared with a contingency plan for the fleet in case problems arise during a storm. What Access Does Your Snow Removal Company Have To Ice-Melting Products? We have shared lots of information about the salt shortage this year and the impact this has on snow contractors, and commercial property owners like you. The demand for salt is greater than the supply, and not all snow removal companies were able to secure the volume of material they will need for this year. That means, yes, they will probably run out. And, who knows if your property will get the ice-melting product required to stay safe this winter. You want a snow removal company that can prove it has a supply of ice-melting resources. Find out if the contractor secured salt before the season. (If the company is just now working on this issue, it’s too late.) Ask for a guarantee. What Is Your Typical Response Time During A Winter Storm? Staying ahead of the storm is your snow removal contractor’s job. You need a responsive partner—so look for a snow removal company that promises a 24/7 point of contact. The company should assign you to an account manager so you always know who to call for service, questions or any follow-ups required on your property. Effective communication is critical during snow events, and the commercial snow and ice management contractor you hire should offer multiple ways to reach the company: phone, text, email and in-person meetings on a regular basis, if requested. How Large Are Your Snow And Ice Removal Crews — And How Often Do You Plow During A Storm? Larger snow crews are not necessarily better. You’ll get superior service if the snow removal company staffs smaller crews with tight territories—meaning routes that are strategically organized so all of the properties a crew services are close together. If the company boasts large crews, find out why. Large crews tend to cover lots of ground, and they may travel a ways between properties. That could mean no “second round” of plowing on your property during a storm, or a longer wait than you want. Small crews dedicate time and attention to the properties they serve, and they can return in a timely manner to continue keeping your commercial property safe and accessible. 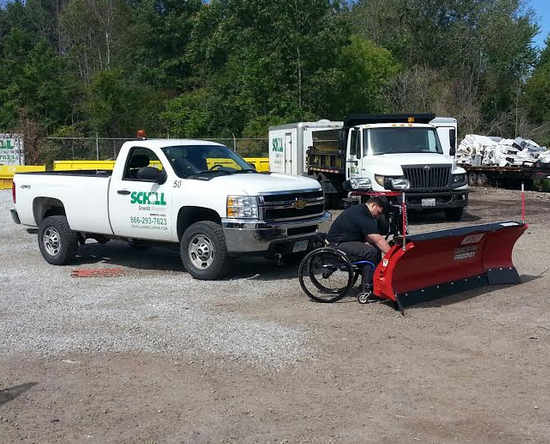 Does Your Snow Removal Contractor Provide Sustainable Snow And Ice Removal Practices? Managing snow and ice can be tough on your commercial property. Winter, in general, can take a toll on parking lots and landscapes, so ask the snow removal company whether it uses sustainable de-icing techniques. There are ways to use ice-melting products while minimizing the environmental impact on your Northeast Ohio property. For example, pretreated ice melting products allow for safer, faster snow removal so you’re getting better results by using less material. Snow and ice removal in Cleveland and the rest of Northeast Ohio is very serious business. A quality commercial snow removal company will act as a true partner and establish a solid winter maintenance plan that addresses your goals and budget. As you embark on the hiring process, be sure to seek out a Northeast Ohio leader that’s transparent on its policies and will educate you on the value of snow services. Look for a partner with proven success stories to share. 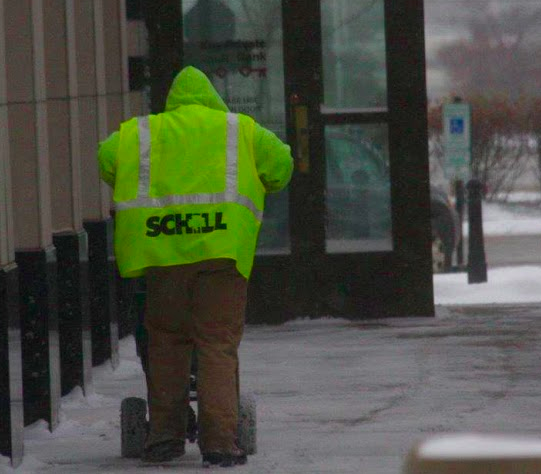 At Schill, we like to serve as a valuable resource for all commercial property owners, which is why we provide this helpful guide to hiring a snow contractor. Give it a read, and call us anytime with questions. Let’s talk more about how to vet a snow removal company and what type of service you should expect. Call us any time at 440.327.3030, or fill out this simple contact form and we’ll get in touch with you.